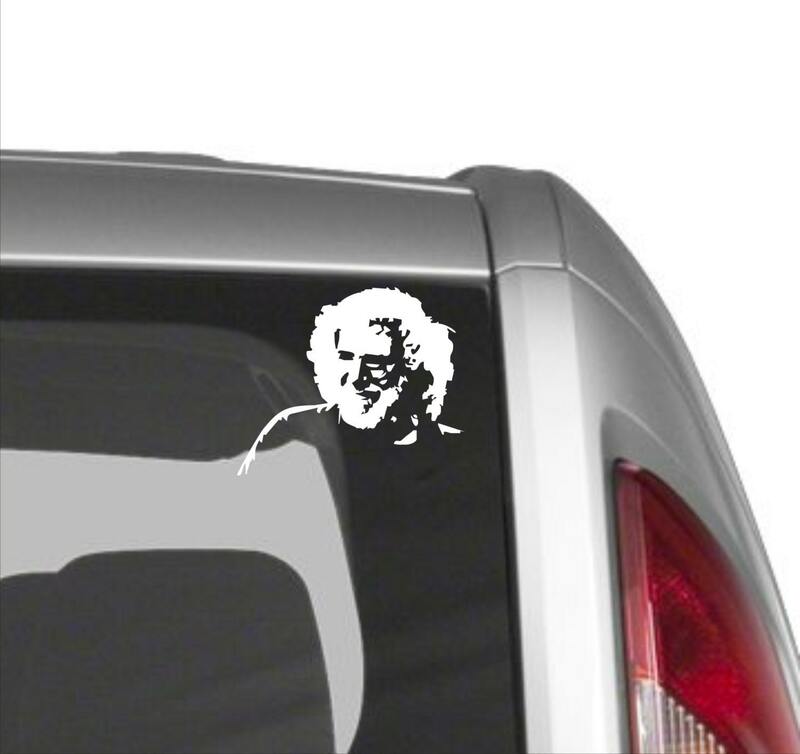 Jerry Garcia vinyl decal- A music Icon, Jerry Garcia of the Grateful Dead. 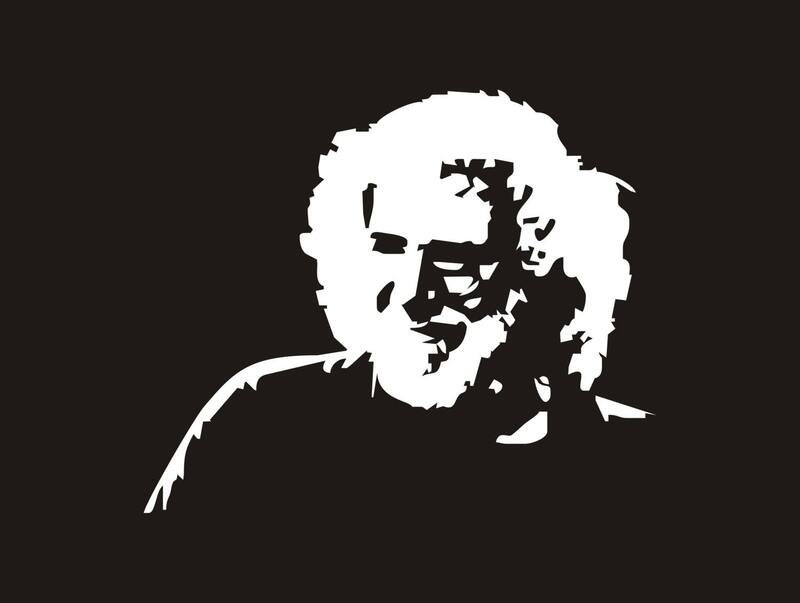 Show your love for this Genius and this band. Bright white silhouette decal looks great on tinted auto glass. These decals will adhere to any clean, smooth surface. 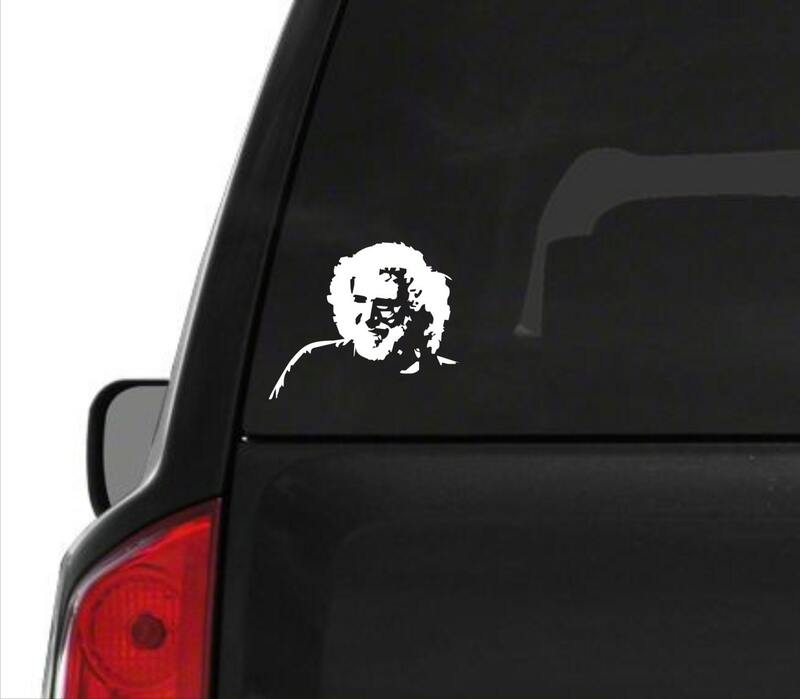 Great for your car, truck, RV, bus, guitar case, laptop, etc. We use only high-quality, outdoor premium vinyl. Easy to apply and each order will come with application instructions. ****ALL of our customers receive a FREE surprise gift as a "THANK YOU". Very, very cool. Arrived on time, great quality. Came a day earlier, the decal was what I hoped it would be...I would definitely order more decals from this vendor. My fav!!! This is the best decal!